Shapria, M.D. et al. v. Christiana Care Health Services, Inc., et al. was a medical malpractice case argued before the Delaware Supreme Court. The plaintiff fell off a ladder and injured multiple ribs and suffered other injuries from the accident. As your Boston medical malpractice attorney can explain, many cases deal with the issue of informed consent. According to the court records in Shapria, M.D., the plaintiff had severe chest pain while at the hospital, despite being on pain medication. The plaintiff’s doctor had a thoracic surgeon examine the patient. This surgeon specialized in the insertion of “on-Q” catheters. This catheter is intended to reduce rib pain when inserted under the patient’s skin and over the ribs in a metal tunnel created by the surgeon. Once in place, the catheter will then continually release pain medication to the nerves at the specific site of the injury. This is supposed to be far superior to taking oral pain medication for this type of injury. However, the U.S. Food and Drug Administration (FDA) has not approved the On-Q catheter for this use. After the surgeon explained a few (but not all) of the risks of the procedure and offered some of the alternatives, the patient agreed. The surgeon performed the insertion of the catheters. While the insertion was successful, another doctor accidentally removed the catheters the following day. The surgeon had to implant the catheters again. During the removal of the first set of catheters, a significant perforation to the plaintiff’s internal organs occurred, and he needed surgery to correct the damage. One interesting aspect of this case involved a claim that the surgeon had breached his professional duty of care by failing to warn the patient of the risks associated with surgery. In any negligence case, the plaintiff must prove that the defendant owed a duty of care, breached the duty of care, and that the breach caused a personal injury with damages resulting. 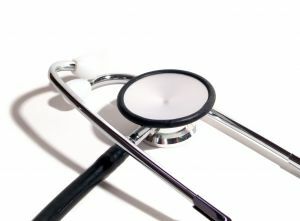 In medical malpractice cases, Massachusetts law requires that the doctor exercise the standard of care that a reasonable and prudent professional in that field would exercise in any other hospital. This is called a national standard of care. Part of that duty of care requires that doctors warn patients of known dangers and discuss alternatives, so that a patient can give informed consent to undergo a particular procedure. In this case, the plaintiff alleged that the doctor was negligent for failing to tell him that he could have had a pain control epidural instead of the catheter. The doctor testified that he never told the plaintiff about the option for the epidural, because he considered the procedure high-risk without any significant benefit, as compared to the catheter procedure. However, the defendant also testified that that an epidural was an effective means to control the pain experienced by the plaintiff, and it was a viable alternative. The appellate court ruled that a jury should be able consider whether withholding this information constituted a breach of the appropriate standard of care in this case.